Juvederm HYDRATE contains biocompatible hyaluronic acid and antioxidant (Mannitol) which plays an important role to eliminate the distressing effects of free radicals on the skin dermis, whilst stopping any gel degradation from occurring and the risk of post-injection inflammation. Juvederm Hydrate 1 ml can make skin on the neck, face and hands appear smoother, less wrinkled and more hydrated with an increased plumpness. 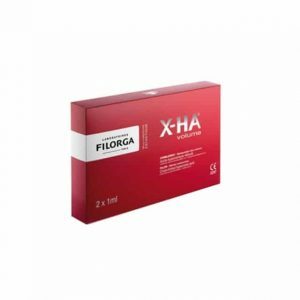 Moisturisation is long lasting and gives a youthful appearance. Juvederm Hydrate is a treatment specifically designed to improve skin hydration and elasticity, resulting in a more refreshed appearance and a natural, healthy glow in the face, neck, décolletage, and hands. Juvéderm Hydrate effectively replenishes depleted levels of hyaluronic acid (HA) in your skin to restore a natural, healthy glow. Juvéderm Hydrate also features mannitol, an antioxidising agent that helps prevent the build-up of free radicals within the skin that degrade HA. With the addition of mannitol, the effects of the treatment can be prolonged. JUVÉDERM® HYDRATE™ is a great way for your patients to improve the texture of their neck, decolletage, hands or face. You can purchase JUVÉDERM® HYDRATE™ online from PDcosmetics.com or you can order JUVÉDERM® HYDRATE™ by phone from our dedicated customer service associates today to get a great wholesale price. Rejuvenate your patient’s aging skin with JUVÉDERM® HYDRATE™. JUVÉDERM® HYDRATE™ is made with hyaluronic acid, a substance that is normally found within the skin. As your patients age and expose their skin to sun damage, the hyaluronic acid in their skin breaks down and is lost, leaving their skin dry, rough and wrinkled. JUVÉDERM® HYDRATE™ helps your patients regain that lost hyaluronic acid. 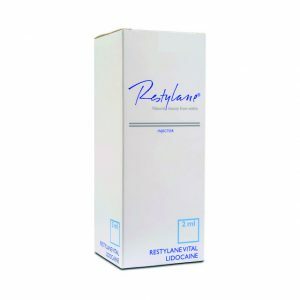 When you inject JUVÉDERM® HYDRATE™ into your patient’s skin, it instantly plumps up to about a thousand times its size with moisture, rehydrating the skin and smoothing out wrinkles and other texture issues for smoother, more refreshed-looking skin. JUVÉDERM® HYDRATE™ also contains mannitol, which helps to fight free radicals and protect your patient’s skin from damage. JUVÉDERM® HYDRATE™ was created to be a skinbooster rather than a dermal filler. You can use JUVÉDERM® HYDRATE™ on thin and delicate areas of your patient’s body, like the back of their hands, their neck, their decolletage (upper chest area) or on their face. JUVÉDERM® HYDRATE™ can rehydrate and restore your patient’s skin in areas where the volume of a regular dermal filler is not needed. Your patient’s skin will be more vibrant and younger-looking after they purchase JUVÉDERM® HYDRATE™ cosmetic treatments. 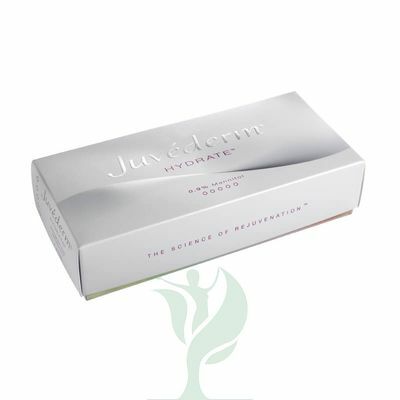 JUVÉDERM® HYDRATE™ starts to go take effect immediately after you inject it into your patient’s skin, giving them an instant boost of hydration. After your patients purchase a JUVÉDERM® HYDRATE™ cosmetic treatment, which takes about fifteen minutes to half an hour, they will benefit from refreshed skin for about three months before returning for their next JUVÉDERM® HYDRATE™ injection.